The essential how-to guide for battling bugs on indoor plants! Got Bugs On Your Houseplants?!? EWE!! There is nothing worse than bringing home a new houseplant, only to discover you also invited crawling or flying bugs into your house as well! Or maybe your favorite houseplant is suddenly under attack by pesky pests after years of being healthy and bug-free, and you have no idea why (or what to do about it). You know you need to act quickly so the bugs don’t spread like wildfire to all of your other houseplants, but you don’t want to reach for toxic pesticides or throw the plant out. Help! I’ve been there. 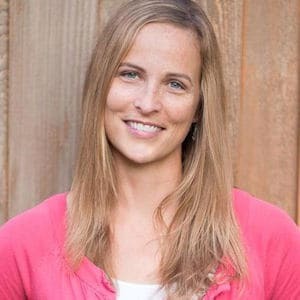 I know how frustrating (and GROSS!) it can be. You don’t need to live with bugs on your houseplants, or throw away infested plants. You can gain back control, get rid of those nasty pests, and love your houseplants again! You Can Win The Battle! I have battled many, many houseplant pest infestations… and I have won the fight. My houseplants are bug free and yours can be too. 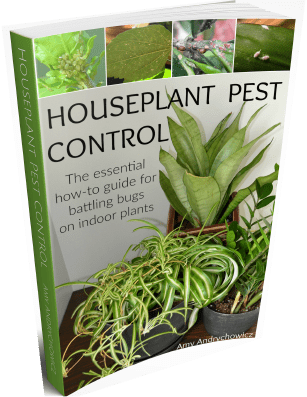 I’ve put all of my tried-and-true methods for controlling houseplant pests into this eBook, and I want to share all of my tips with you so that you can enjoy your houseplants once again. This eBook is jam-packed full of information about, and tips for controlling six of the most common houseplant pests. Don’t let your houseplants suffer another minute from pests that are not only annoying, but destructive to your beloved plants. Gain control over houseplant pests today!